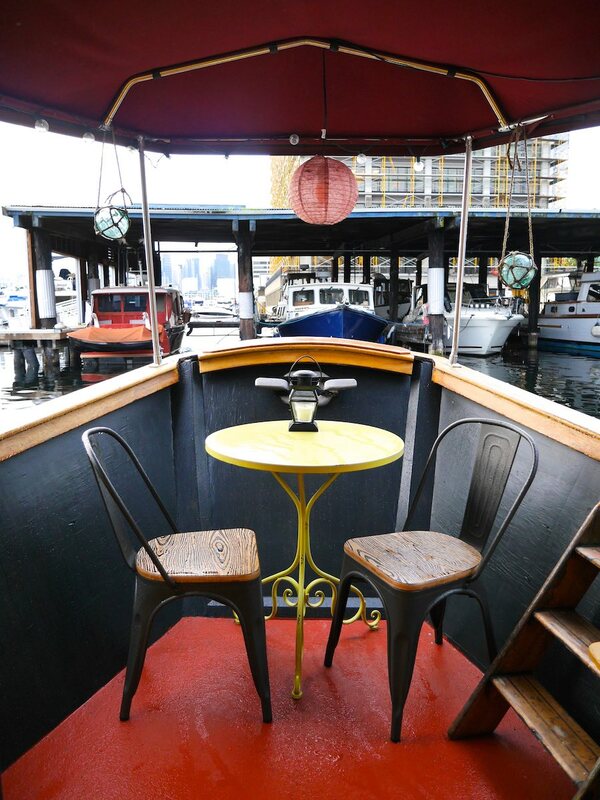 A floating houseboat guest home in Seattle, Washington. Photos and video by Derek Diedricksen. Oh, I get it. This is a glorified ad. Nice. Yes, it’s beautiful. Wish it wasn’t for rent, but for sale (no pun intended). Wish it wasn’t moored in Seattle; that place is notoriously expensive for boat-lovers. I wish this was just a lucky someone showing off their beautiful boat home, but it’s not. It’s an ad. Again, nice. That’s a bit unfair; it isn’t a cookie cutter come-on as too many Swoons have become, it’s a sweet place worth at least feeling faint. Criticism of builders using the site as no more than a sales tool by people who don’t care about tiny houses and are just trying to get in on a hot trend is entirely fair, but Derek Deidrichson’s a real TH bright light and idea factory. If he’s interested in showing off a place, it isn’t just about bucks. But about bucks, builders deserve to make a living, and it isn’t that easy. I would like to see more houses that are really being lived in, but it’s not an easy way to live, so a lot of these come up for sale, by people who are often losing money as well as facing the reality of their dream. Peace and a little goodwill! I take issue with your notion about builders having to make a living. Yes, like all of us making a living is a primary objective, but I get hot under the collar when pro-business people sing this song. Make a living, yes. Gouge the heck out of your fellow human beings just because you can, no. $120.00 per square foot is fair and reasonable, but when you start seeing things like $1,000.00 per square foot, it’s time to move on and the builder can starve to death for his greed. If making a living isn’t easy any more, then some people need to smarten up and realize that we have had a Neo Conservative controlled everything for at least the last 20 years and all that has gotten working class people is “austerity”, low paying jobs and wages, and poverty. The Republicans represent the billionaires’ best interests and not working class people’s best interests. No one who isn’t a billionaire should be voting for and supporting them. We wouldn’t be in this mess if it weren’t for people confusing what various representative stand for, and it doesn’t help that both sides of the aisle have lied to us incessantly in order accomplish their ends; our undoing. We used to have a democratic republic but since the George W. Bush coup d’etat, it has been replaced with a banana republic, fascist oligarchy. Mussolini’s regime was fascist and Hitler’s regime was fascist, and now here WE are, fascist. As long as people keep voting for crooks and criminals as their representatives, nothing is going to change. If you are at all interested in real change for the better, then think about voting Progressive or Green. Whoa, Nellie. 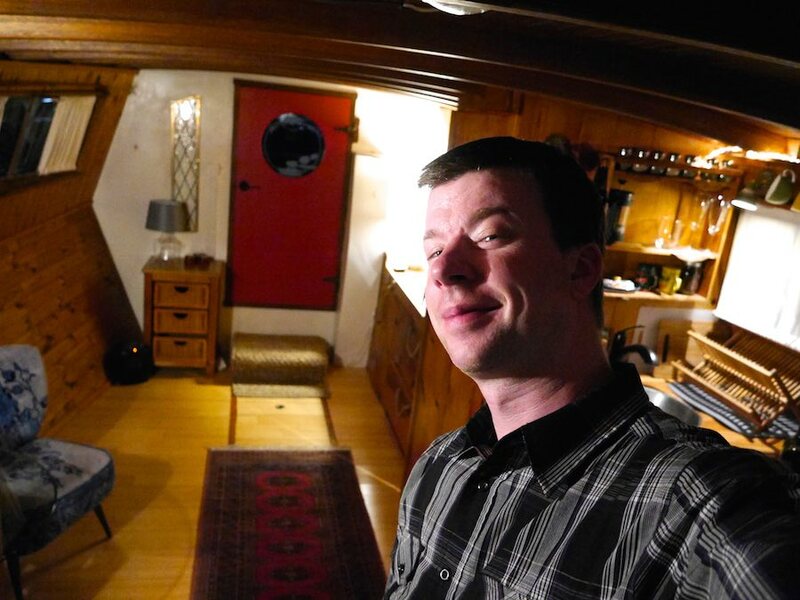 This is a site containing photos of tiny houses from various disciplines for purposes of inspiration, admiration, and, I don’t know what else the proprietor intended, nor do I have any authority, but, even as a quite leftish person myself, I think political ranting is out of line here. If people have put their backs into starting a little business, they hope, by building tiny houses, why shouldn’t they be able to eat while doing it? If you are hoping to win over people to the progressive cause, U R Duin It Rong. 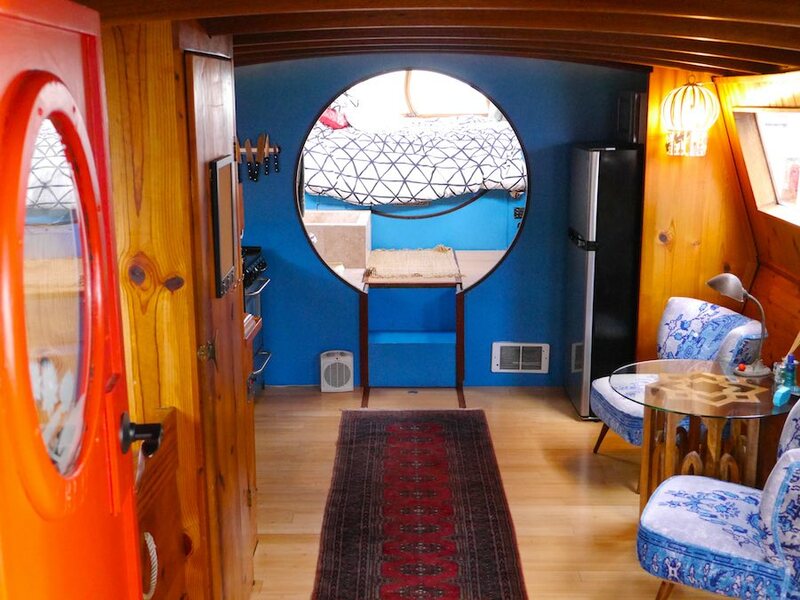 Lisa E. – Hey, it’s only a website about tiny living, not a place to inject your weird political ranting. Please take your sophomoric politics and make-believe history elsewhere and let the rest of us enjoy the photos. If a home is put on this site it is up for criticism. But, quite right, you don’t get pics of many houses being lived in. My wife and i just got settled into ours after building it ourselves. And, now for my ad [atinyhomecompanion@blogspot.com]. Love it! Thanks Deek for sharing. SO beautiful with all that wood and detail. Love the bath! That’s an interesting idea. I think it’s nice, but a bit too sparse. I don’ t know. The kitchen is the only place to hang out outside of the bedroom? I mean, the balcony bits are nice, but I can’t really see myself up there in all weather, you know? How much is this thing to rent? If it’s more than 200 bucks a month, no thanks. There’s better tiny apartments to look at it. And yeah, I’m getting tired of seeing ads on this site, too. I’m thinking Kathy is a fan, or something. 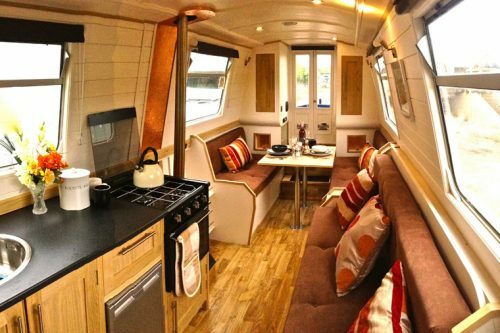 It’s a pretty houseboat. Very, very pretty. Nice boat. Clean layout. I like all the wood and the place does feel like a hobbit home a bit. At least there’s a kitchen and the bedroom looks cozy. Too bad it’s an excuse to advertise it’s availability, but I see that a lot on this site. Or at least that’s what it feels like. If they didn’t want to advertise it, they wouldn’t have included the video, I think. Just pictures would have been fine. But it’s nice enough. Hope it has good heating and reasonable maintenance fees. Thanks. Many things to like and maybe some good ideas to incorporate into our own builds. Isn’t that the real purpose of showing other places? Not so much to congratulate or denigrate any particular structure’s purpose but to present design/structural ideas and maybe spark some inspiration. Whether or not they’re something we, personally, would do or not is up to us. I couldn’t afford to get to Seattle, let alone stay in this place but it makes me happy to see it. With a few tweaks it could be a nice, livable longer term dwelling. I don’t know about anybody else but I would need some kind of waterproof barrier between the tub/shower and bed, being a bit of a messy bather. 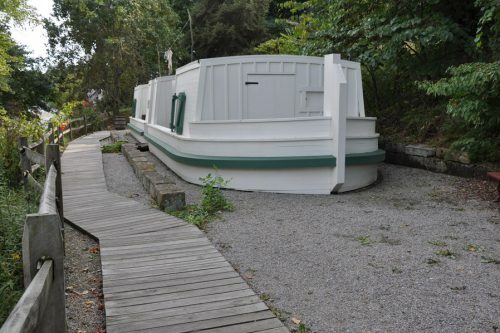 Yes, a beautiful little boat for rent. 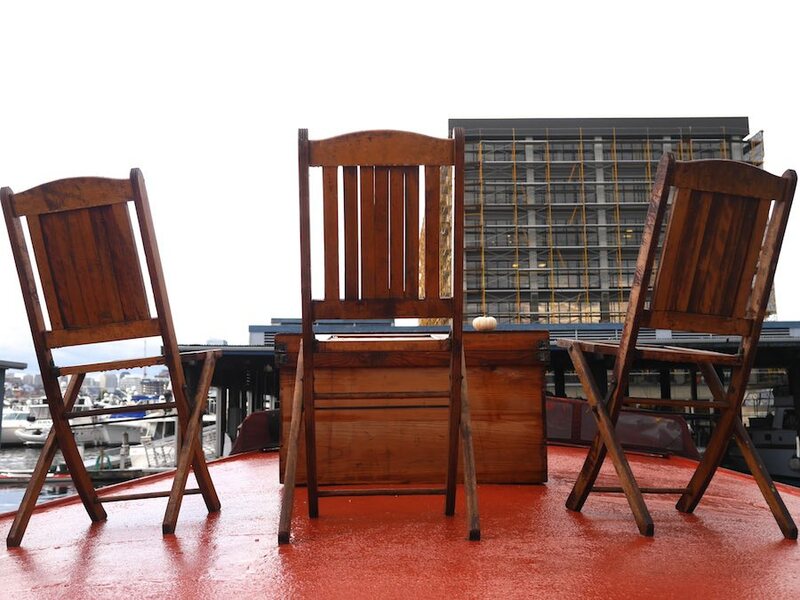 We already know we can find a gorgeous boat for sale or rent in Seattle if we have enough cash. actually works for permanent living . a lot of them for sale. Also, do people live in them for a year or so then decide to sell and find different accommodation? tiny house living is not there in the future. seems to be: where do you put it and how hard is it to run the gamut of municipal regulation? I find it odd that so many people are suddenly complaining about TH on being ‘ads’ for them for rent or sale. I see half a dozen (or more) people on LOTS of other posts all asking who the builder is and where they can get plans. Is this not the same thing? Maybe those people were smart enough not be up front about why they submitted their house, but it’s still the same end game. I for one don’t care either way; I’m just happy to see the tours, as long as they’re interesting and not the same thing over and over. I find it odd that so many people are complaining about TH on here being ‘ads’ for them being for rent or sale. I see half a dozen (or more) people on LOTS of other posts all asking who the builder is and where they can get plans. Is this not the same thing? Maybe those people were smart enough to not be up front about why they submitted their house, but it’s still the same end game. I for one don’t care either way; I’m just happy to see the tours, as long as they’re interesting and not the same thing over and over. And why complain about a video? If it shows more of the house, I’m all for it.